ESO SÍ, LAS ETIQUETAS ESTABAN DAÑADAS, DOBLADAS. EL TRANSPORTE MUY BIEN, DENTRO DE HORA Y FECHA PREVISTA. I have only just come across this wine in Wales UK and I love it !!!! it can be drunk on its own or with cheese or red meat......also excellent product.. excellent service ....and excellent value for money. ...thank you I will be reordering. 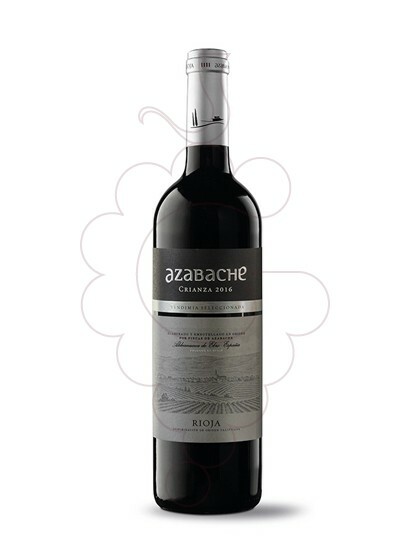 Azabache Crianza, vi negre D.O.Ca. Rioja, és un dels més de 9000 productes que trobaràs a la nostra botiga online.